Chipotle has had a rough couple years. Between the customers getting sick and the reviews calling its much-hyped attempt at queso a "crime against cheese," you'd think the burrito giant would be courting public approval like the protagonist of a late-'90s teen comedy. You'd be wrong though. Instead, Chipotle has just finished raising prices at all its locations. The burrito empire has gradually rolled out the new price bump over the last year. Menu prices at 55% of the chain's over 2,200 locations were raised by 5% to 7% between April and November of 2017. Now, the final 45% of restaurants implemented the price hikes as of this week, mostly at locations in the Pacific, Northeast, Southeast, and Mid-Atlantic areas. As a report by Business Insider explains, the change amounts to a $0.34 increase on a chicken burrito bowl, which should give you some perspective before you go writing to your congressperson or something. 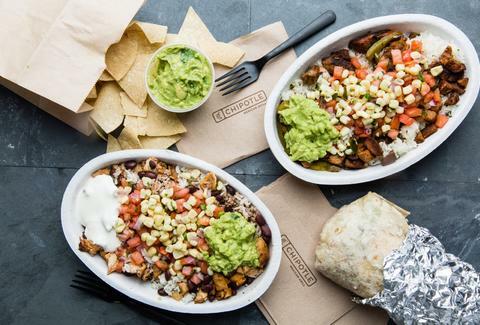 In the same report, Chipotle spokesman Chris Arnold said, “Even with the increase, Chipotle pricing remains very competitive within the category.” It's mostly the principle, though. This comes not long after Founder and CEO Steve Ells, who'd been heading the company for close to 25 years, announced plans to step down as CEO. If Chipotle wants to lure people back into its restaurants, this might not be the best look. But, hey, maybe some more free burrito or free chips and guac deals will help.